In the past millennia of European history, many great civilizations have constructed cities filled with temples, theatres, palaces and other structures of striking beauty. Unfortunately, most ancient buildings eventually fell victim to invasion or earthquake. A handful of ancient treasures, however, have been handed down to us. Obviously cities like Rome and Athens abound in famous ruins but this article details a number of incredible sites that are not as heavily publicized or popular with tourists. Asklepion: Kos Island is one of the outermost Greek islands in the Aegean located only a few miles offshore from the Turkish city of Bodrum. The ruins of the Asklepion, located only 3 km from the harbor, have a commanding view of the Aegean and neighboring Anatolia. The temple is named in honor of Asklepios, the Greek god of healing and was once the home of Hippocrates, the famous ancient physician. To the Greeks the site was a combination medical school and wellness center. Today, its idyllic setting among pine trees and wildflowers, its bracing sea air and its near total seclusion make it a great place to get a sense of the splendor of the ancient Greek world. Efes, Turkey: Most ancient cities like Rome were plundered over the years because they were thriving commercial centers filled with wealth and finery. It makes sense, then, that the best preserved settlements are those that were, like Pompeii, forgotten. 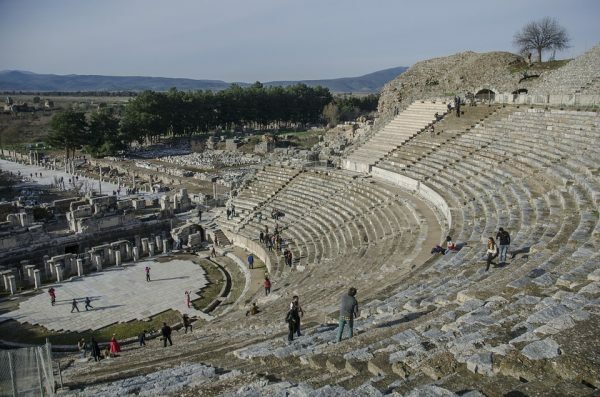 The ancient city of Ephesus was not obliterated by a volcano. Rather, the harbor on which the city depended silted over and the landlocked inhabitants simply abandoned their city. Today, Efes is one of Turkey’s great archaeological treasures. Efes is home to the Temple of Artemis, one of the Seven Wonders of the Ancient World. While the temple is unrecognizable today, the façade of the Roman era Library of Celsus is very much intact, as is the amphitheatre. The rest of Efes is an interesting combination of ruined temples, bathhouses, stone streets and other decorative rubble. 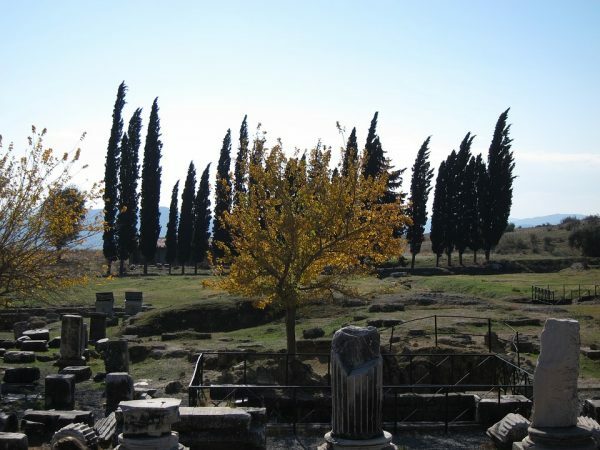 Most of the best artifacts can be found at the archaeology museum in nearby Selçuk. If you’re hungry, try fire-roasted gozleme, a flat pastry made with cheese, potatoes or spinach at the tent restaurants between Selçuk and Efes. 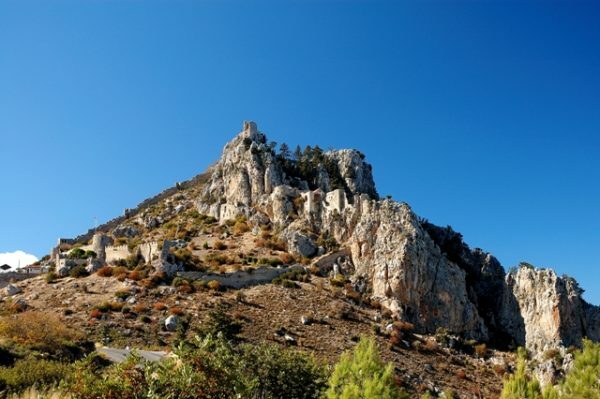 St. Hilarion Castle: Situated at atop the highest point in Northern Cyprus and accessed only by a mountain road that passes through an army base, St. Hilarion is one of the great Crusader castles left in the Mediterranean. The mountain citadel towers 732 meters above the surrounding countryside and is the only place in the world that you can find some species of wildflowers. The mountain originally housed monastery that was later fortified by the Byzantines. After Richard the Lionhearted conquered the island and sold it to the Lusignans, St. Hilarion served as a medieval fortress and royal residence. From the parking area, the castle is reached by a long series of treacherous walkways and staircases that pass through the military barracks culminate in the royal apartments. The royal residences are actually built around a courtyard of natural stone boulders.